There are, in fact, two different slip jigs that go by the title “Give Us a Drink of Water.” Both are in G, and both are two-part tunes. 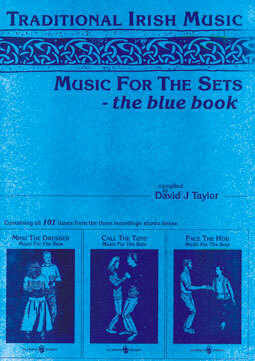 The first is #1530 in O’Neill’s 1850 (1903), #1131 in O’Neill’s 1001 (1907), and #420 in David J. Taylor’s Music for Sets: the Blue Book (1995). The other is on the Bothy Band album The Bothy Band (1975); but at that time the name seems peculiar to that album, though it has gained some popularity since owing to the influence of the Bothy Band. So, if someone calls the tune below “Give Us a Drink of Water” you’ll know they learned it from the first Bothy Band album. At the time of their recording it was elsewhere often called “Swaggering Jig” by most players, as this tune is entitled in O’Neill’s 1850 — though there are a number of tunes that go by the latter name too, just to keep the name game interesting. If someone calls the tune below “The Swaggering Jig” you’ll know their source was not the Bothy Band. It was also called “The Drunken Gauger” by some, which is an Irish Set Dance from County Clare, where it was taught and danced at the O’Loughlin big house. So, dancers are more likely to call it “Drunken Gauger.” Theses different names seem to tie together, however. A gauger is someone who measures something, and it was common in Ireland to have gaugers hired by a town to determine whether the publican’s pours were an honest pint, or an honest gill. It was almost as common to have publicans ply the gauger, just to be on the safe side, which would account for the swaggering drunkenness of the gauger. Now, as anyone who has ever imbibed canned-heat libations knows, having a drink of water is often what’s needed most when in the process. 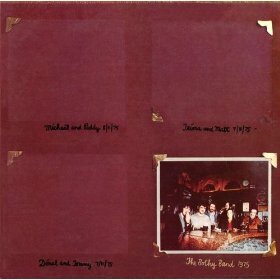 So, though the fact that the Bothy Band call it “Give us a Drink of Water” has been thought to be an error on the liner notes, though not necessarily due to an error of any of the band members, it seems to me to just put a bow on it. This article was posted in ABC format, Dots, MP3, Slip Jig, Slow Session, Tune, Tune Comment. Bookmark the permalink. Follow comments with the RSS feed for this post.Post a Comment or leave a trackback: Trackback URL.